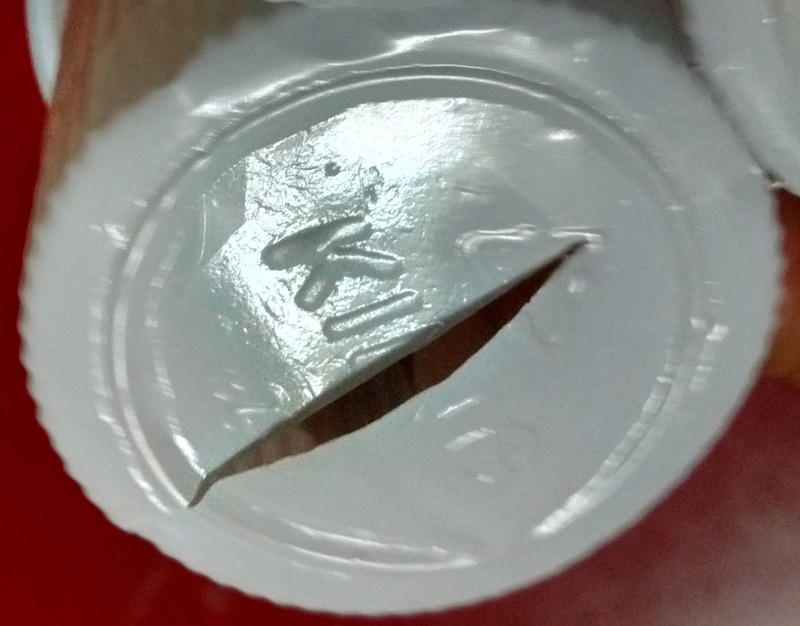 Slit all the cups at the bottom to make opening using the cutter. These slits will be useful later to insert the lights. The slit should be of the size mentioned in the image. 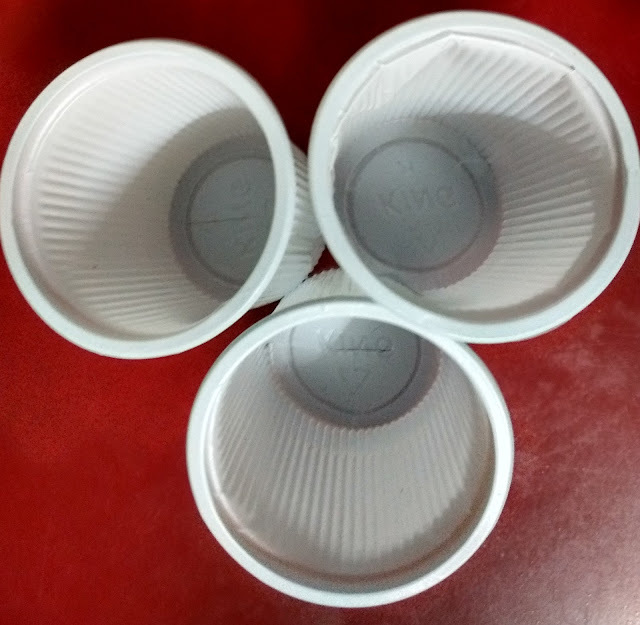 Hold the 2 cups together and staple them at the bottom. 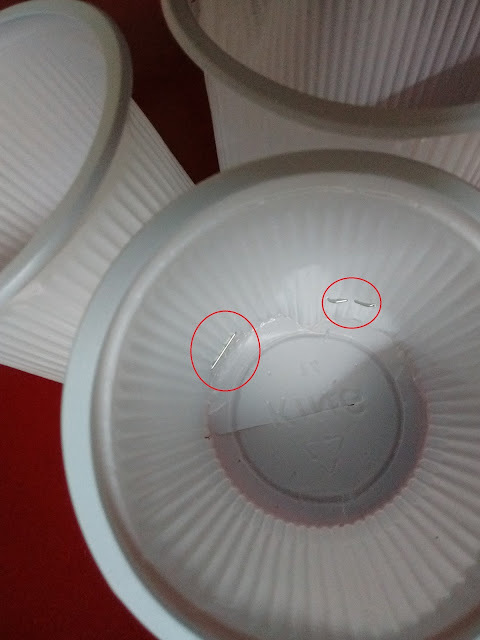 Similarly staple additional cups one beside the other. Repeat until you make a dome. Cut the chart paper as flower petals considering the size of the dome. 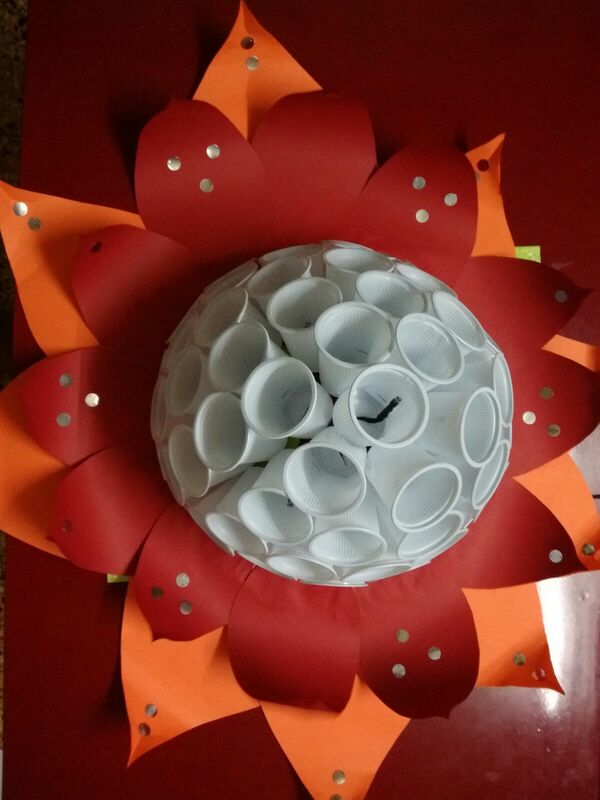 Stick/staple the petals around the dome together to form a flower and then stick reflective decorative particles on the edge of the petals. It will glitter and add beauty to the lantern when lit. Insert the lights one at a time in the cups from behind through the slits we cut in the Step 1. Start putting the lights in the cup from the center spiraling it outside one by one. 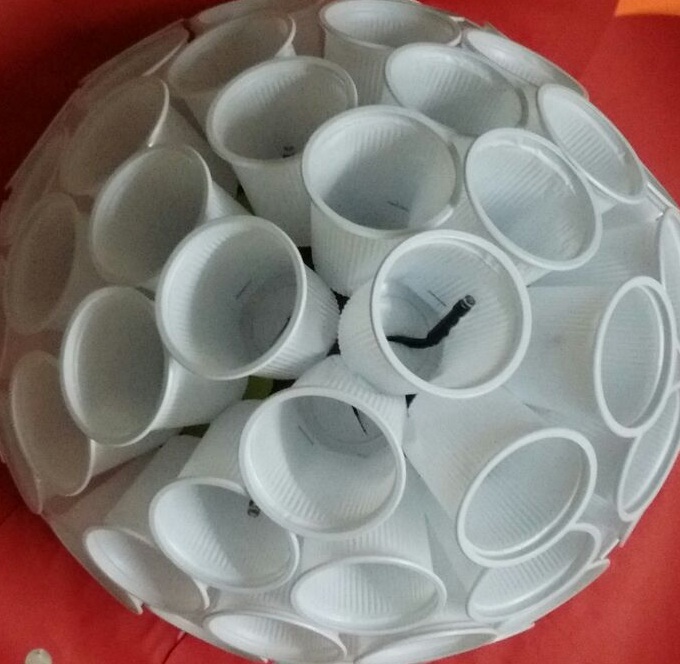 Note: Be careful as forceful handling will change the shape of the dome.